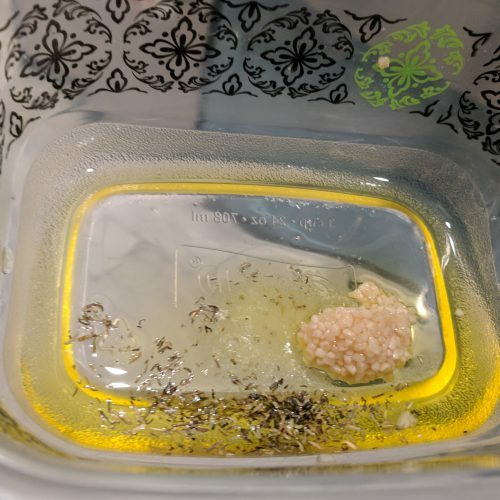 So I just got my new Air Fryer for my birthday and I was super excited to use it! 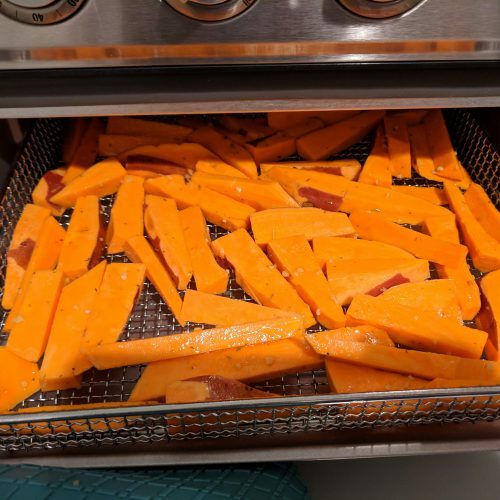 I wanted to start off simple so I decided to make some sweet potato fries! 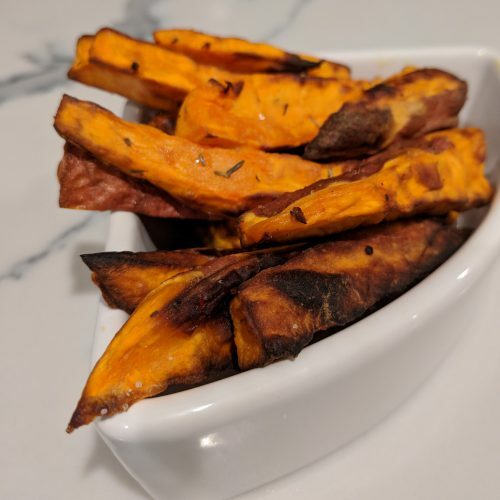 I usually make them in the oven (click here for that recipe) and found that using the air fryer gives you the same final texture however it takes half of the time! 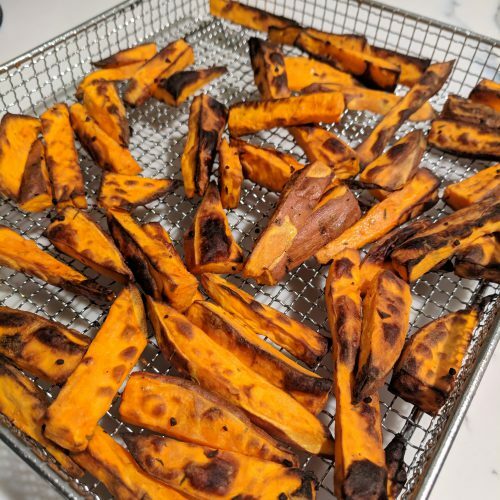 An Air Fryer is supposed to give you the healthier version of fried foods. It basically is a mini convection oven that uses hot air to crisp up the food with minimal oil used. I love my air fryer for the simple fact that is large and in charge! 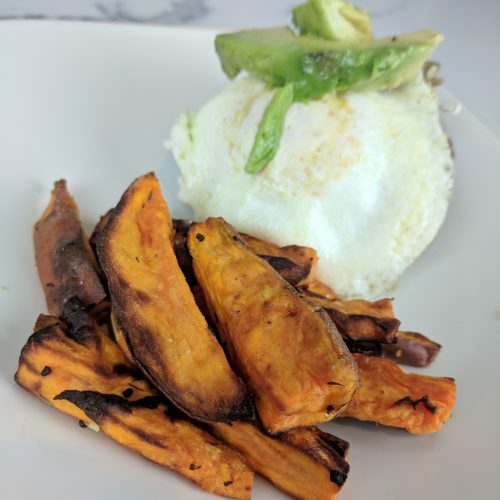 I bought the Cuisinart Air Fryer (click here to view/buy) which is not only an air fryer, it is also an oven, a broiler (both with convection option) and a toaster. The best part is it fits a ton in it! I just looked at the air fryer that Costco sells and the basket is TINY. Which means you would have to do multiple batches…. who wants to deal with that?! See my unboxing video on YouTube by clicking here or scrolling down. 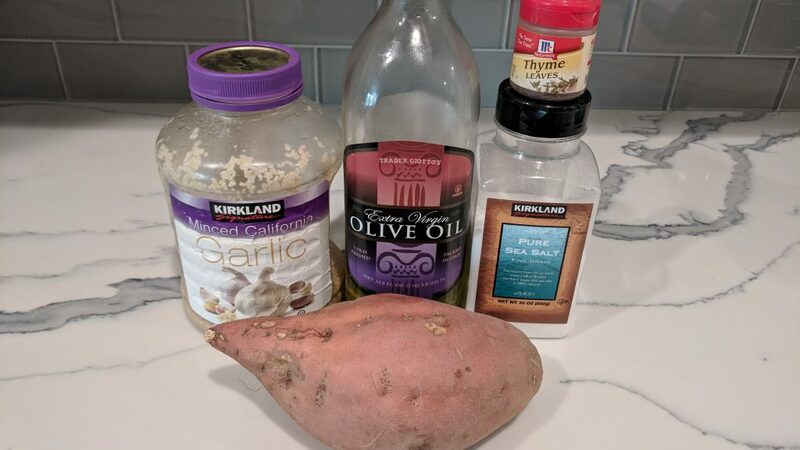 I used an 18oz sweet potato and that yields about 4 servings (depending on who you are feeding lol). Each serving has 140 calories, 25g carbs, 3g fat and 2g protein. 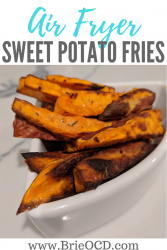 These sweet potato fries are easy to make and are very healthy and delicious! Hope you enjoy! in a small mixing bowl, stir together olive oil, thyme, salt and garlic. 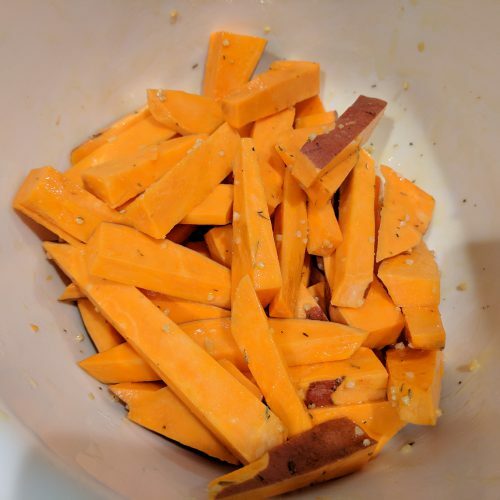 add sweet potato to a medium mixing bowl and toss well with olive oil mixture to coat. 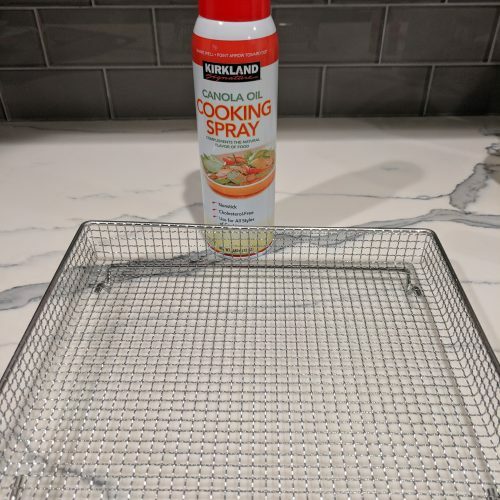 lightly spray air fryer basket with cooking spray. when fries are done cooking, remove immediately and toss with extra sea salt to taste. Serve with your favorite main or try my avocado egg burgers! I am going to do a full product review once I use it more so stay tuned!